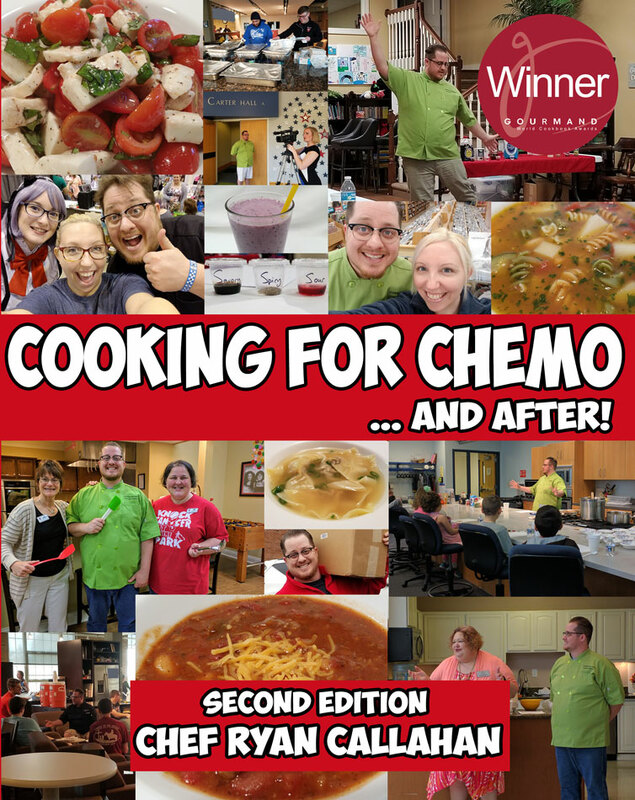 Chef Ryan’s holiday dressing recipe. Weight is medium and can be lightened with red wine vinegar. Texture is soft and moist when cooked properly. Emotional response of Thanksgiving at Grandma’s kitchen table. In a large saute pan, saute in oil, garlic, onions, celery, and carrots over a medium-high heat. Add the salt and black pepper to mixture (mirepox) and saute until onions are translucent. Next, add 4 c. of chicken broth, Old Bay seasoning, sage, and bring to a boil. Cook until celery and carrots are fully cooked. Now add 1 tbsp. of red wine vinegar followed by 1 tbsp. of sugar. Return to a boil, stirring well. Place dry bread mixture into a large mixing bowl. Pour mirepox and chicken broth into bread mixture. Mix well. Transfer dressing into a large casserole dish. Bake in the oven with turkey until outsides of stuffing are crispy. About 30 minutes. Turkey oven temperature is typically 325 degrees Fahrenheit. If you buy a bread mixture that is pre-seasoned with herbs and spices, watch the sodium content. If sodium is high, omit kosher salt from recipe. Try to use reduced sodium chicken broth as well. 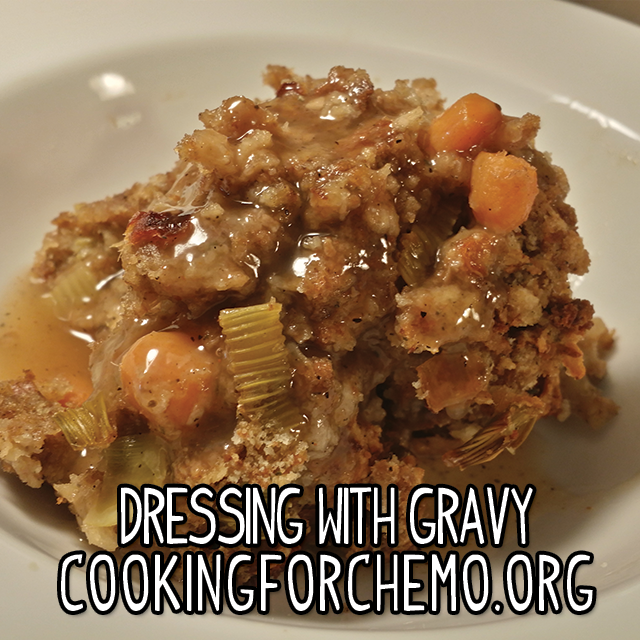 For chemotherapy patients, I recommend making dressing instead of stuffing the turkey. This is because the easiest place to get food poisoning during a Thanksgiving meal is from improperly cooked stuffing. In addition to this, you have to cook the turkey for longer when there is stuffing inside of it. This makes it easier to over cook the turkey and make it dry. You will notice that this recipe calls for no meat in the stuffing. This is because heavier meats like sausage or pungent meats like oysters and giblets can cause nausea and loss of appetite in chemotherapy patients because their weight and smell. If desired, you may add 8 oz. of country sausage that has been well cooked and drained of it’s grease, under the circumstance that your loved one has demonstrated the ability to tolerate or enjoy the sausage in recent meals.